The 2019 Volkswagen Atlas has the sort of elegant presence that many mid-size SUVs imitate, but none can succeed in replicating. The design blends charisma and aggressive sportiness for a head-turning look that'll stand out, no matter where your 2019 Atlas takes you. 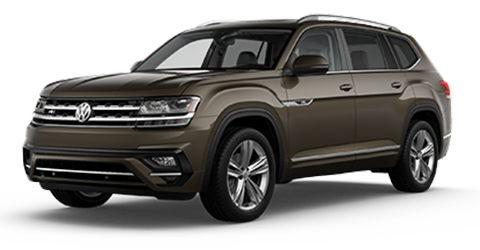 The Volkswagen Atlas is just as well-equipped as it is stylish. The available panoramic sunroof spans all 3 rows of seats to let in plenty of South Florida sunlight. The available 20-inch wheels give the 2019 Atlas an even more muscular and sporty stance. The most unique feature on the new Volkswagen Atlas may be the available Easy Open power liftgate. If you have an armful of groceries, sports gear, etc., all you have to do is pass your foot under the rear bumper and the liftgate will open up. 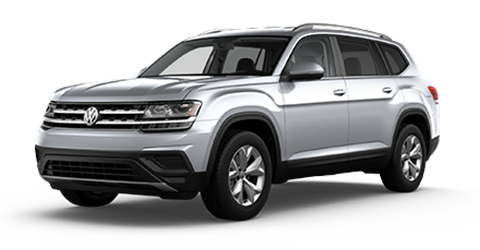 Experience the elegance and charisma of the 2019 Atlas at the Vista Volkswagen Pompano Beach dealership near Fort Lauderdale. The 2019 Volkswagen Atlas balances attractive design with practical comfort, creating a welcoming ambience that'll make both you and your family look forward to every trip. The 2019 Atlas is spacious enough for the whole family, too. The new Volkswagen Atlas even has an abundance of cargo space. The 2019 Atlas offers standard seating for 7 occupants, with plenty of space for everyone, no matter where they sit. The available captain's chairs provide more space and comfort than the bench seats seen in many competing mid-size SUVs. The rear seats also have a standard pass-through design that makes it easy to maximize the cargo space in the Volkswagen Atlas when needed. Check out how Parents Magazine named the 2019 VW Atlas a top 10 Family Cars of 2019 pick. Come into Vista Volkswagen Pompano Beach today for to experience the new 2019 Volkswagen Atlas for yourself. The 2019 Volkswagen Atlas is designed to be a family SUV, so Volkswagen put even more emphasis on occupant protection. The 2019 Atlas is cleverly constructed to absorb the force of a crash and protect all of the occupants, front and rear. The airbag setup also protects occupants in the front and the rear of the vehicle. As impressive as the construction and the airbags of the 2019 Atlas are, it's the safety programs that really separate it from competitors. The 2019 Atlas also features the Automatic Post-Collision Braking System. Many accidents are followed by a dangerous secondary collision, because the vehicle is out of control. This system automatically hits the brakes to greatly reduce the chances of a second collision. Learn more about the Volkswagen Atlas' advanced safety features. Stop by Vista Volkswagen Pompano Beach today to speak with our friendly and well-informed sales staff. The 2019 Volkswagen Atlas is out to prove that family SUVs don't have to be boring. It has a peppy standard engine and the sort of agile handling that'll put many other mid-size SUVs to shame. The 2019 Atlas also offers a choice of 2 drivetrains to suit a variety of driving preferences. The standard 2.0L turbocharged 4-cylinder engine kicks out a peppy 235 horsepower and a muscular 258 lb.-ft of torque. The standard 8-speed automatic transmission is capable of both quick gear changes and impressive fuel economy, with the 2019 Atlas achieving an impressive EPA-estimated 26 MPG highway. The standard front-wheel drive system is stable and efficient. Adventurous drivers will naturally gravitate toward the optional all-wheel drive system, which enables stunning off-road capability. Take the powerful and highly capable 2019 Atlas out for a spin at Vista Volkswagen Pompano Beach. Swing by today and to get all the info on our car lease options. The 2019 Volkswagen Atlas is well-equipped with a wide selection of powerful technology. Perhaps the most impressive tech feature available on the 2019 Atlas is the optional Volkswagen Digital Cockpit, which displays vital vehicle information instantaneously on a 12.3-inch high-resolution screen. The available SiriusXM™ satellite radio provides access to a 24/7 stream of news and entertainment. The Volkswagen Atlas even offers an available premium Fender® audio system with an impressive 480 watts of power. Drivers in Pompano Beach, Coconut Creek and elsewhere in the Fort Lauderdale area can try the powerful tech in the 2019 Atlas. Drop by the Vista Volkswagen Pompano Beach showroom today for a test drive.